The droppers have been designed with a narrow opening hole to ensure good control of individual droplet release when pressing the bulb. Straight droppers like these are ideally used for administering liquids, including oils, in very small volumes and can also be used as art and craft and other hobbies. 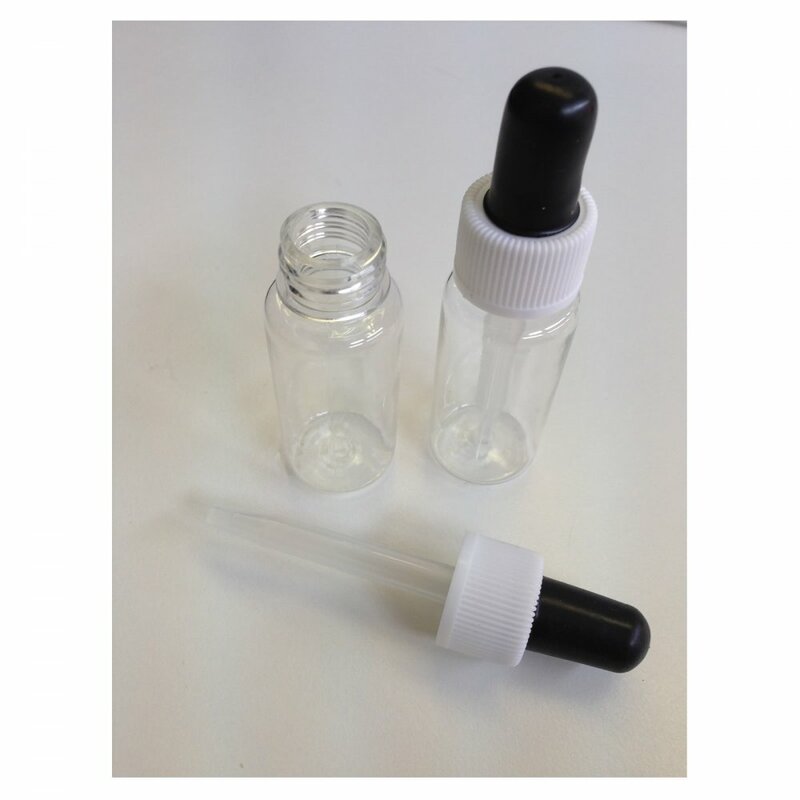 Two 20ml Clear Plastic Bottles with dropper pipettes & rubber bulbs. All parts are detachable and reusable and can be cleaned and washed in warm soapy water.